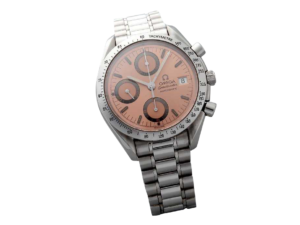 Limited edition men`s stainless steel Omega Speedmaster chronograph wristwatch. Michael Schumacher Racing World Champion 2000 edition, ref #3517.30. Swiss made, automatic movement. 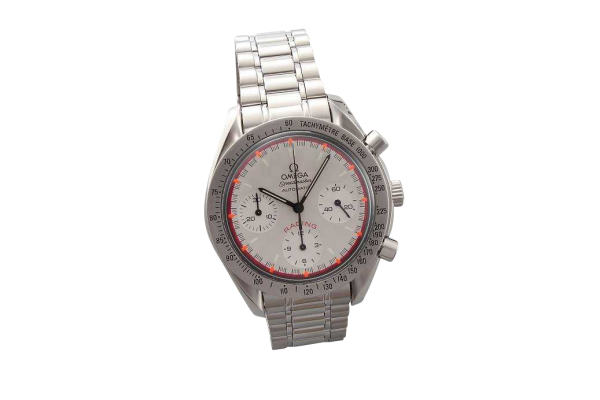 Silver checkered Omega dial with black indexes and orange/red minute track, outer minute/seconds and 1/5th seconds divisions, subsidiary dials for the seconds, the 12-hour and 30-minute registers. Luminous baton hands with white sub-dial hands. Round button chronograph, engraved bezel with tachometer graduation. Hesalite crystal. Comes on an Omega stainless steel bracelet. Accompanied by a fitted Omega watch box. The approximate diameter is 41.2mm with the crown. 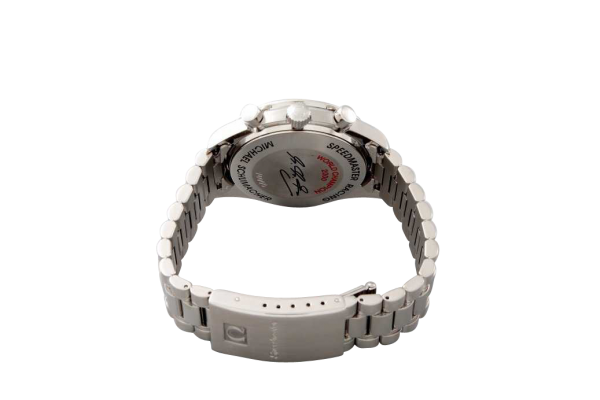 Has superficial scratches due to normal wear and age. The overall condition is very good. 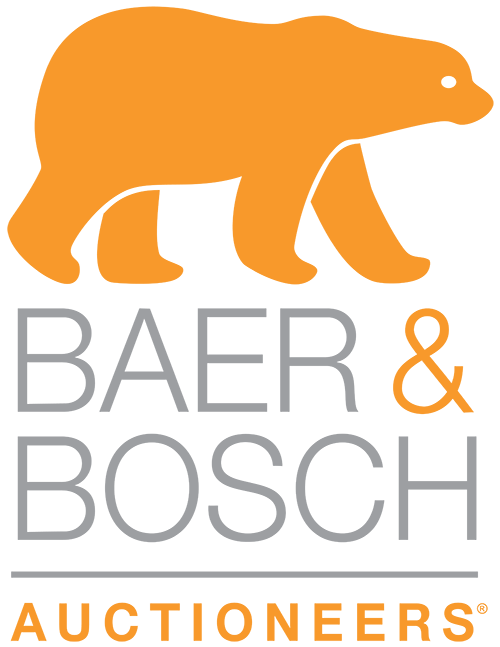 Running at the time of inspection, however not checked for accuracy. 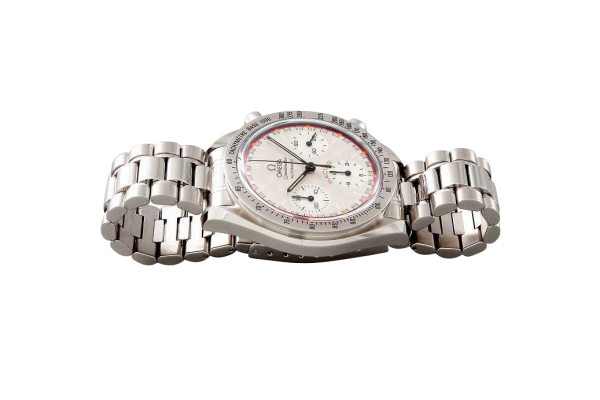 An overhaul is always recommended for used watches. 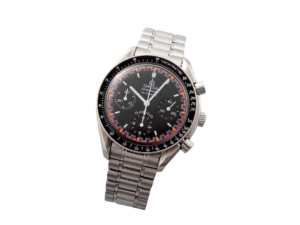 The Racing Speedmaster was developed by Omega to commemorate the Formula 1 World Championship title of Omega`s ambassador Michael Schumacher and as a tribute to Formula 1, celebrating Formula 1 and traditional precision timekeeping. 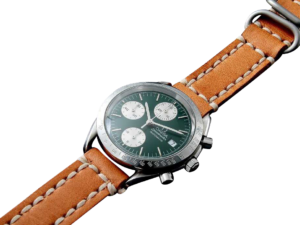 This edition of the Schumacher Racing Speedmaster was limited to 4000 watches.